Fruiting bodies (pilei) 1-3(5) cm in diameter, round, fan-shaped or kidney-shaped, flesh hard, becoming thin and elastic when wet, and fragile under dry conditions, outer surface felted, wavy, slightly lined, with white, grey-white or pale orange areas, margin curling inwards, either split or lobed, stemless, simply sitting on the substrate; spores 5-5.5μm × 2 μm, oblong, hyaline. 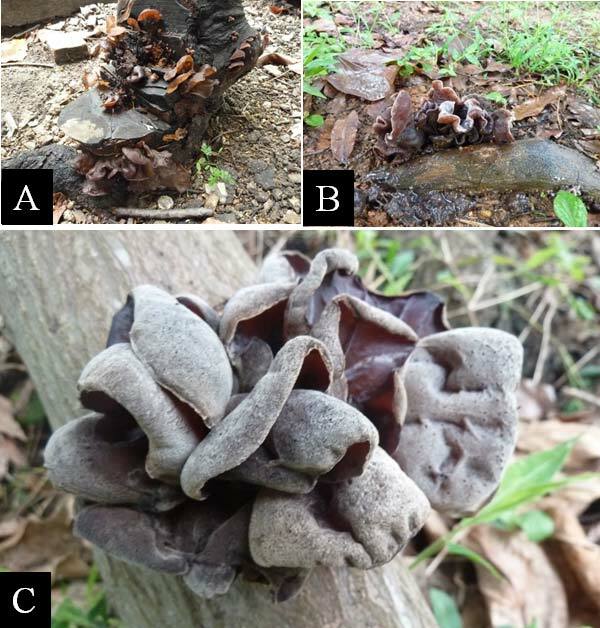 This fungus has a worldwide distribution and has a very board host range. Locally, it could be observed on broadleaved trees such as Acacia spp., Celtis sinensis and Lagerstroemia speciosa along roadsides, on slopes and in parks. 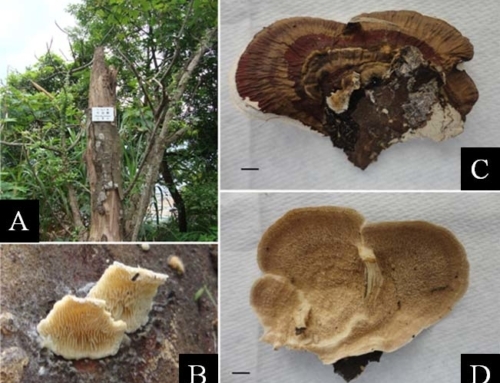 Wounds from pruning cuts as well as injury arisen from low temperature and sunscald damages could readily serve as entry courts for this fungus. As such, it is often found associated with wounded barks and cankers on branches and trunks of trees. Once established on infected trees, localised decay may proceed and pave the way for further infection by other opportunistic wood decay fungi. 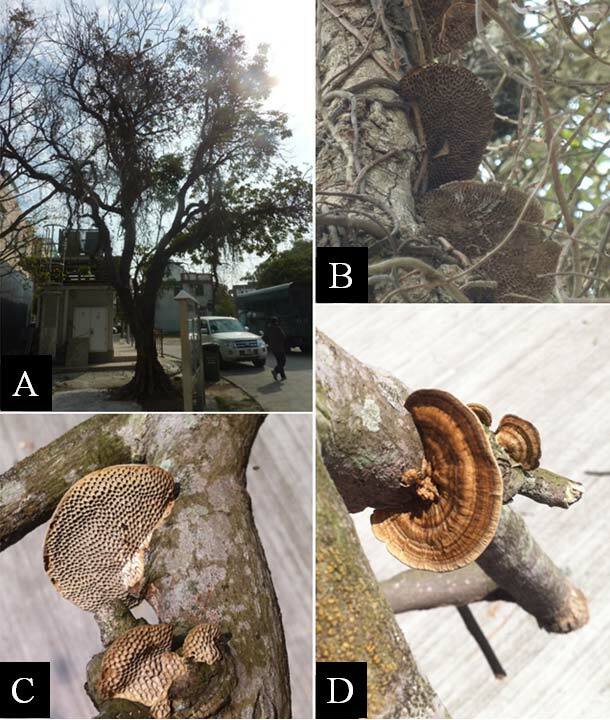 Most trees observed with the presence of this fungus are usually already weakened and exhibit non-specific symptoms of tree crown abnormality such as defoliation, dieback and small leave size etc. 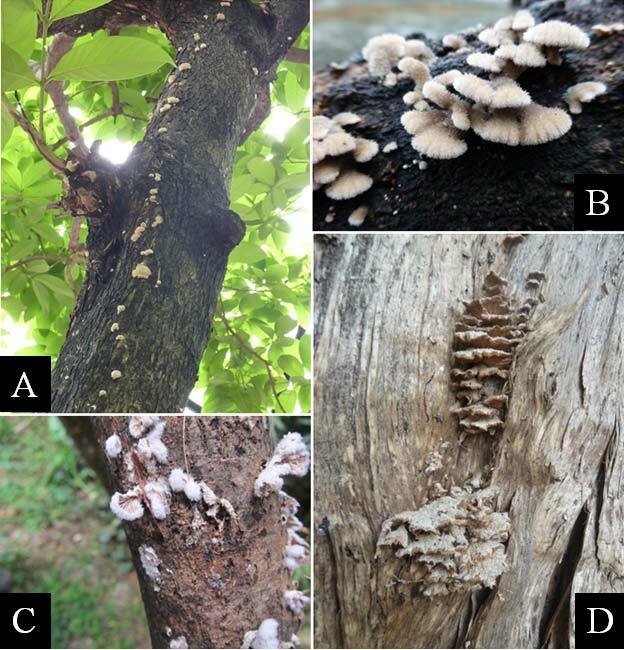 This white rot fungus is regarded as a saprotrophic fungus with the ability to recycle deadwood but may also cause damages on weakened trees as a pathogenic fungus with weak virulence. It is therefore regarded as a wound parasite having the ability to cause wood decay on injured cambium/sapwood and exposed heartwood. 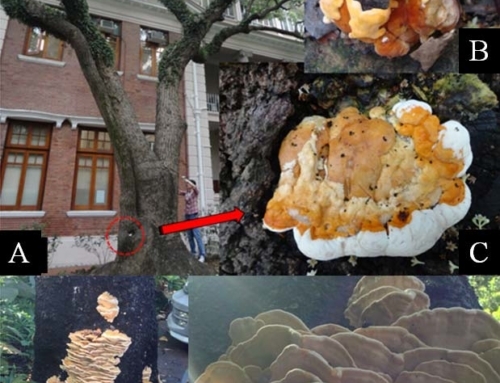 Risk category: Low (YELLOW) Since this fungus may affect the health and structural stability of trees, mitigation measures should be exercised depending on tree conditions and the location at which the fungus is observed. 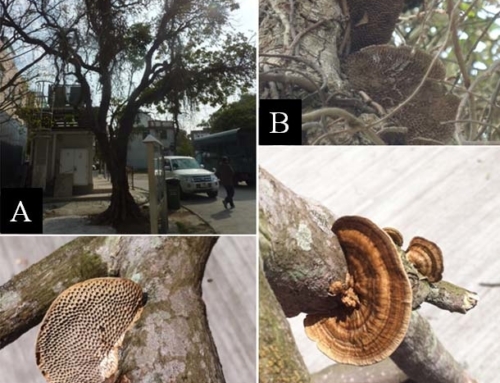 Trees infected with this fungus should be put under monitoring only if the fungus is associated with the main trunk or structural branches of trees. 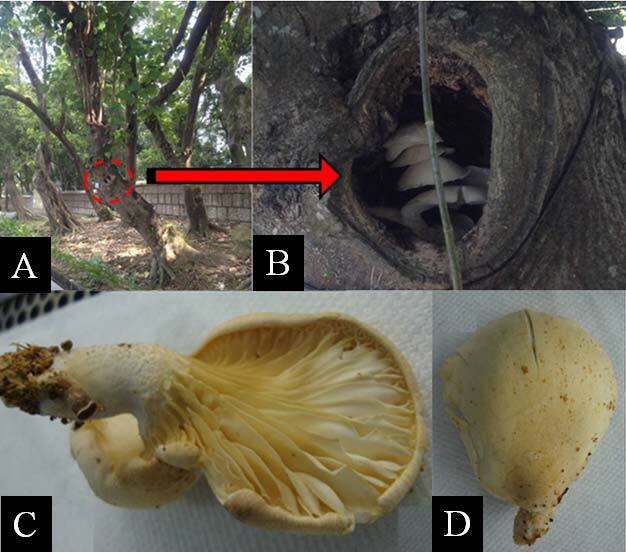 Alternatively, removal of the defective parts could be considered if the fungus is observed on small size branches with weak attachment. Fungicides may be applied on trees infected with this fungus as an interim measure to retard fungal growth. 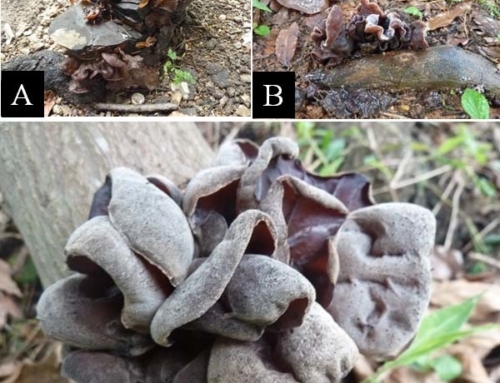 It is worthy to note that as fruiting bodies of this fungus are relatively small, they may not be easily detected. 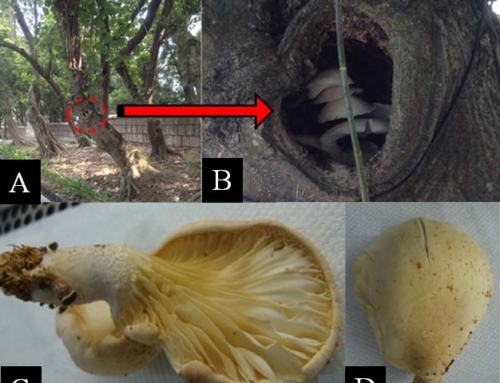 As such, one should carefully examine for sign of this fungus, particularly in wounded areas of the trees during inspection. 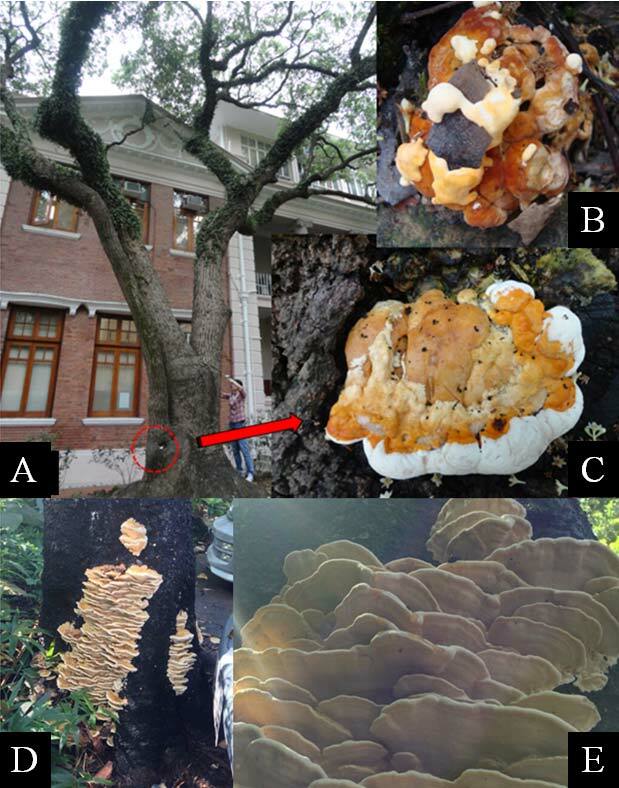 By increasing tree vigour through proper tree care regimes and minimising tree damage from pruning cuts, the chance of fungal infection would be substantially reduced.